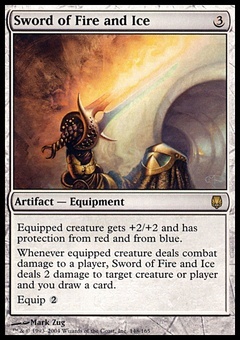 Symbiosis ($0.09) Price History from major stores - Urzas Saga - MTGPrice.com Values for Ebay, Amazon and hobby stores! 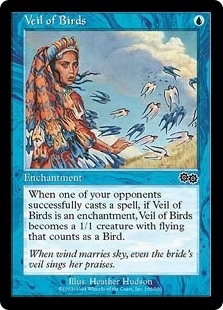 Card Text: Two target creatures each get +2/+2 until end of turn. 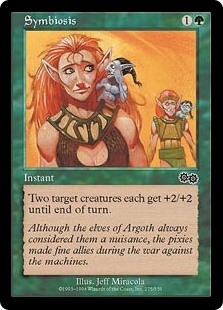 Flavor Text: Although the elves of Argoth always considered them a nuisance, the pixies made fine allies during the war against the machines.